Charlotte and Marcus had their wedding in the outstanding setting of Dewsall Court. 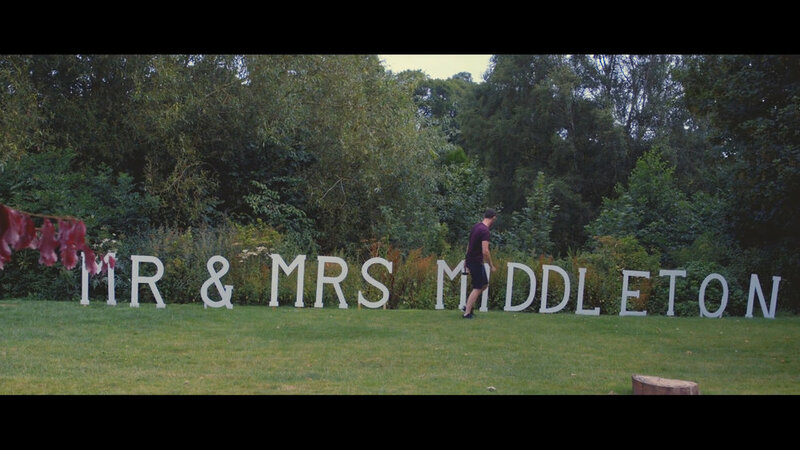 The house and grounds are really something to behold, great first ingredients for a fantastic wedding film. Anywhere you pointed a camera was something worthy of sitting in the video. I was at Dewsall court for two days, the first of which was spend interviewing Marcus & Charlotte's friends and family. Apart from grabbing some great loving clips for the film it was a great opportunity to meet the VIPs so they weren't complete strangers on the day. On the second day (the really really important one!) I arrived nice and early to grab some venue shots, then swapping between bride and groom prep which is always something I enjoy, no travel time always means a little less stress for me! If I need to set up for the ceremony it's only a two minute walk away, then back in time for the last moments of bridal prep, something I don't always get to film. The ceremony had two firsts for me, it was outside, and the aisle was in a spiral. Outdoor ceremony's make me nervous, many more variable to try to take a hold of. The Great British weather is always questionable, clouds can pass causing a dash to change camera settings, wind can play havoc with audio, a plane passing overhead can do exactly the same. Lady luck was on my side and everything went by nice and smoothly. The spiral was also interesting, how do I get the bride walking down the aisle? There was a nice walk over the lawn then I grabbed some sneaky over the shoulder shots of Charlotte walking round the spiral, filming the rest of the ceremony from the outside of the spiral. The couple shoot was really great, along with Aaron from Green Button Photography we got some fantastic shots of Charlotte & Marcus next to the lake and around the grounds that really enhanced the highlight film. The speeches were excellent, lots of emotional lines that were made to be put into a highlight film, Marcus really did nail the grooms speech, excellent stuff indeed! Check out their highlight film below.